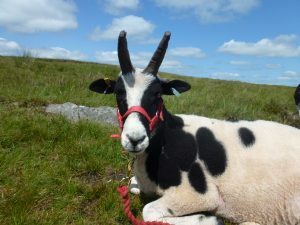 Walk with friendly Jacob sheep in the stunning Brecon Beacons. Working alongside Jacob Sheep Trekking and Experience Days and Good Day Out, Aberhyddnant Organic Farm are providing a unique opportunity to explore the beautiful Brecon Beacons in the company of wonderful Jacob sheep whilst raising money for the Royal Agticultural Benevolent Institution. We have many other exciting opportunites to come into contact with sheep and other animals on our farm, have a look at our See and Do pages for ideas. Contact us 01874 636797 or info@sheeptrekking.co.uk or hello@gooddayout.co.uk for more information. ‘R.A.B.I. provides care and support for farmers, farm workers, farm managers and their dependents. Many of those we support are retired people who are struggling to get by on low incomes. We also help people of any age in times of crisis and those who are disabled ranging from young children to people over 100 years old.’ More information about what they do can be found here RABI.